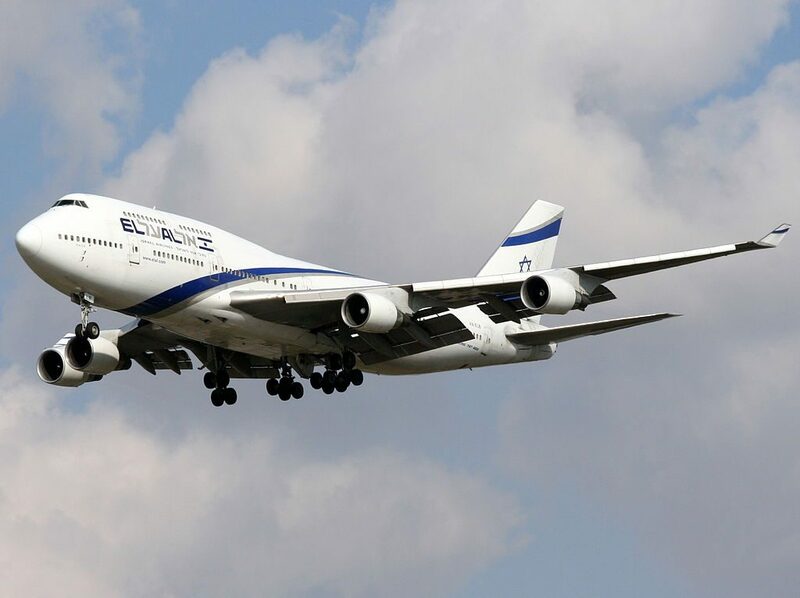 EL AL Fleet Boeing 747-400 Details and Pictures. 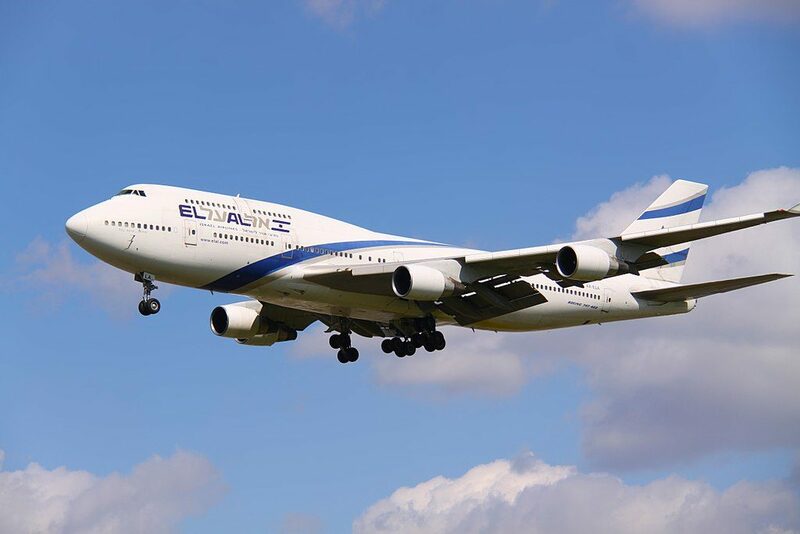 Currently, EL AL operates 4 wide-body jumbo-jet Boeing 747-400 “Queen of The Skies”. 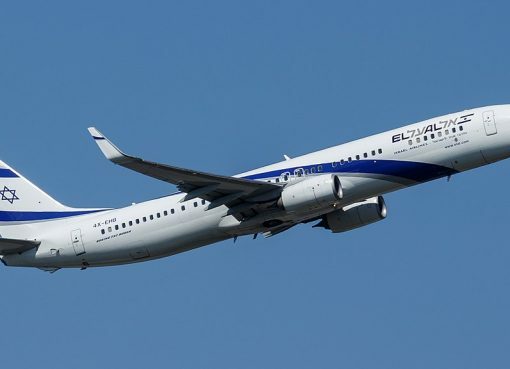 This airplane consists of two decks (lower and upper) that may accommodate 403 passengers in 4 classes: first, business, economy plus and economy. 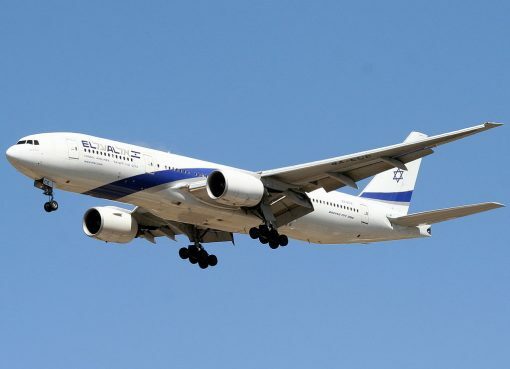 EL AL named their Boeing 747-400 aircraft as Tel Aviv-Jaffa / תל אביב-יפו, Haifa / חיפה, Beer Sheva / באר שבע, Jerusalem / ירושלים. 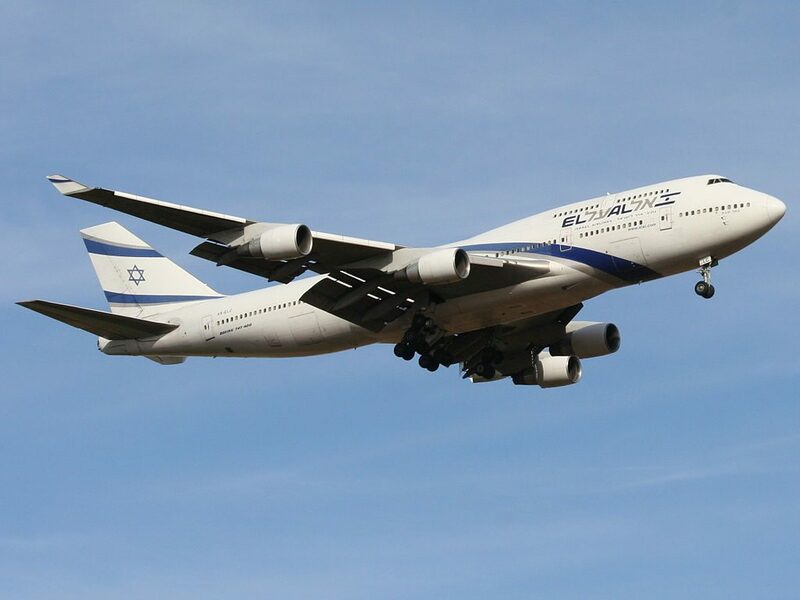 The El Al Boeing 747-400 is primarily operated on long-haul routes. This 747-400 features a 4 class configuration with 8 flat bed First Class seats, 47 Business Class flat seats, 34 Economy Seat PLUS seats with an extra 3-5″ of seat pitch, and 314 standard Economy Class seats. The lower deck contains seats of all 4 classes. First 2 rows are the seats of the first class. These seats have 2-2 configuration. All these seats are standard, for passengers with infants the seats of the 2nd row have bassinets. Behind the first class seats 4 rows of business class seats are located. There are totally 25 seats here. Passengers of the seats of the 10th row will feel comfortable thanks to the extra legroom. However, the noise from the galley and lavatories located in front of these seats will be bothersome. Lack of floor storage during take-off and landing is another disadvantage of these seats. Passengers traveling with babies are often seated here as these seats have bassinet locations. The only disadvantage of the seats of the 13th row is close location of the lavatory. Behind the exit row 24 seats of economy plus class are located. The seats of these class offer additional space for passengers legs, recline and other pleasance. To reserve these seats an additional charge should be paid. Due to the exit row located in front the seats of the 21st row offer extra legroom. But at the same time for the same reason the tray tables are located in the armrests making them immovable and reducing seats width a little. 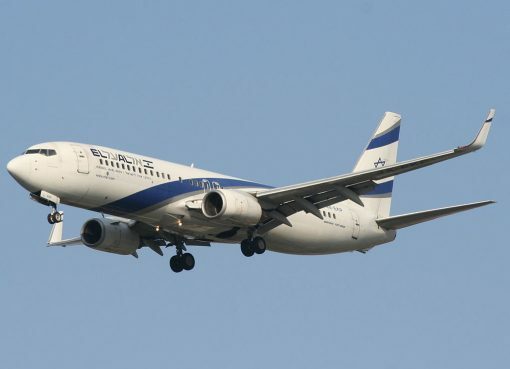 Among other disadvantages of these seats: proximity of the galley and stairs that lead to the upper deck, lack of floor storage during take-off and landing. For passengers with babies these seats offer bassinet locations. Close location of the galleys may cause some discomfort to passengers of the seats C and H of the rows 22-24. 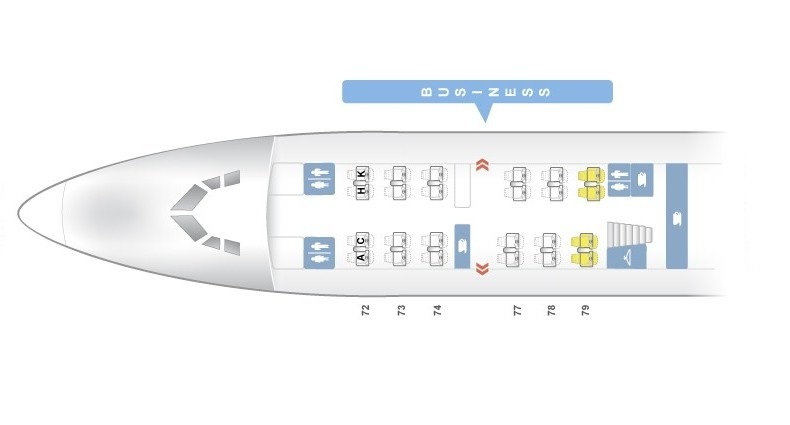 Economy class seats are divided into three sections. First section consists of 8 rows of seats that have 3-4-3 configuration. Because of the position of the bulkhead the seats 25DEFG have limited legroom. Also in front of these seats is located galley which may be bothersome as well. As the tray tables are in the armrests, these seats are a little narrower than standard. For passengers travelling with infants these seats offer bassinets. No floor storage during take-off and landing is another disadvantage of these seats. The seats 28 A and 28K have no windows. The seats of the 32nd row are not reclining and are located close to lavatories. Behind the exit row the second section of economy class seats is located. Passengers of the seats 34BC and 34HJ will take advantage of extra space for their legs. However, other passengers tend to congregate in the area of these while waiting to use lavatories and thus causing discomfort to passengers of these seats. In addition these seats are a little narrower than standard as the tray tables are built-in the armrests making them immovable and have no floor storage during take-off and landing. The best seats of the economy class are considered the seats 35A and 35K as these seats offer extra legroom due to missing seats in front. At the same time these seats have some disadvantages: close location of the lavatories, reduced width and lack of floor storage during take-off and landing. The same disadvantages have the seats 36DEFG. Passengers with infants are often seated on these seats as they have bassinets. Extra legroom will provide additional comfort for passengers. Limited recline and proximity of the galleys are the main disadvantages of the seats 43DEFG and of the seats of the 44th row. The third section of economy class seats is located behind another exit row. As the tray tables of the seats 45ABC and 45HJK are built-in the armrests the width of these seats is reduced a little. The noise from the galleys located here may also represent a problem as well as lack of floor storage during take-off and landing and lack of power ports. Protrusion of the exit doors inside restricts some space of passengers of the seats 45A and 45K. Passengers of other seats of these row, i.e. the seats 45BC and 45HJ will take advantage of extra legroom. For passengers with infants the seats 46DEFG offer bassinets. Due to position of the bulkhead the legroom of these seats is limited. Among other disadvantages of these seats: proximity of the galley, reduced width and lack of floor storage during take-off and landing. For passengers traveling with a partner are ideal BC and HJ seats of the rows 57-60. Also these seats have additional storage space at windows side. The main disadvantage of the seats 59DEFG is close location of the lavatories. The seats of the last 60th row are not reclining and are located close to the lavatories what makes these seats bad seats. 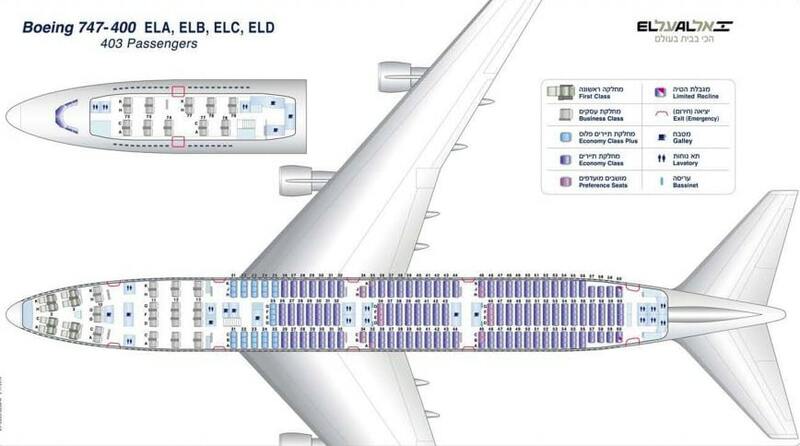 The upper deck consists of 6 rows of business class seats that have 2-2 configuration and are divided into two equal sections per 3 rows in each. 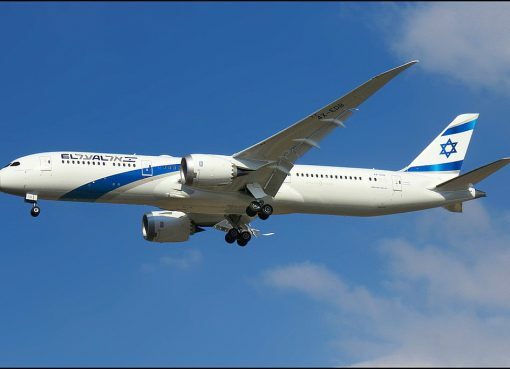 Passengers of the upper deck will take advantage of more quite atmosphere because these cabin is not crowded and therefore passengers have more attention from flight attendants. Additional storage near the windows seats is another advantage. The seats of the 72nd row have such a disadvantage as less overhead space. The seats of the last 79th row have such disadvantages as proximity of the galleys, lavatories and stairs and lack of recline. Audio. All seats have AVOD (audio video on demand) with multiple video and audio options. AC Power. Every seat on this aircraft has accesss to an AC power port. 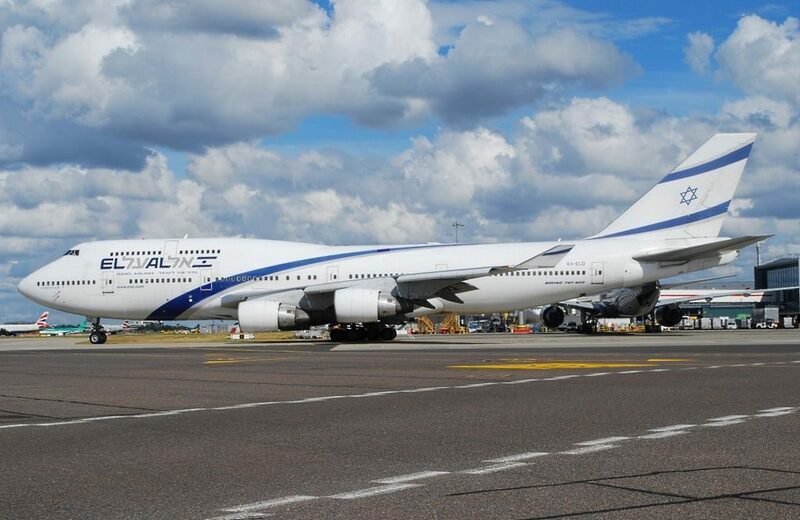 Thanks to visiting AirlinesFleet.com and read article : EL AL Fleet Boeing 747-400 Details and Pictures.